Cutting edge amenities and a dedicated staff contributes to a higher standard of living. 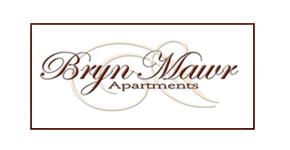 Nestled among beautiful trees on our own hilltop, just minutes from Downtown, Oakland, Monroeville and the Pennsylvania Turnpike, The Bryn Mawr Apartments offer the excitement of resort-style living. Search no further for all the amenities you require for a luxurious lifestyle in our spacious 1 and 2 bedroom apartment homes!